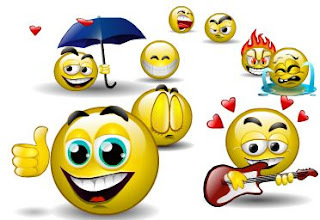 I have to tell you that there are big differences on the matter of animation image between Gmail / GTalk Chat Emoticons and Google+ Chat Emoticons although the code aka shortcut key might be the same. There are also some shortcut key that would not work in G+ Chat but work Gmail Chat and vice versa. See the image below to see the “differences” between those two: right side are emoticons on Gmail chat and on the left side are emoticons look at Google Plus Chat. Remember, you may need to use shift key pressed for some of GTalk Emoticons.